The Shell in Overton Park, Memphis, reborn as Levitt Shell in 2008, has seen a lot over the years, including historic performances by Elvis Presley, Johnny Cash and most recently Aaron Neville. Now it’s the setting for a new live double album, Live at the Levitt Shell, by emerging folk/pop singer-songwriter Myla Smith. While exploring options to follow up her 2013 release Hiding Places, Smith was offered a performance at an Easter Eve concert at Levitt Shell and couldn’t resist the idea of recording a live album at the iconic space. Despite her nervousness about recording an album in front of a live audience, Smith overcame her fears to play to a packed house. 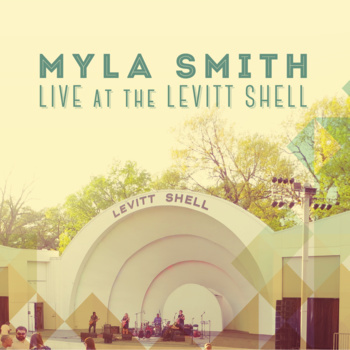 Myla Smith’s Live at the Levitt Shell is available now in limited physical release. This entry was posted in Beyond Levitt, Levitt in America and tagged Myla Smith on November 7, 2014 by Katie Huang.